How much wood is to much wood? 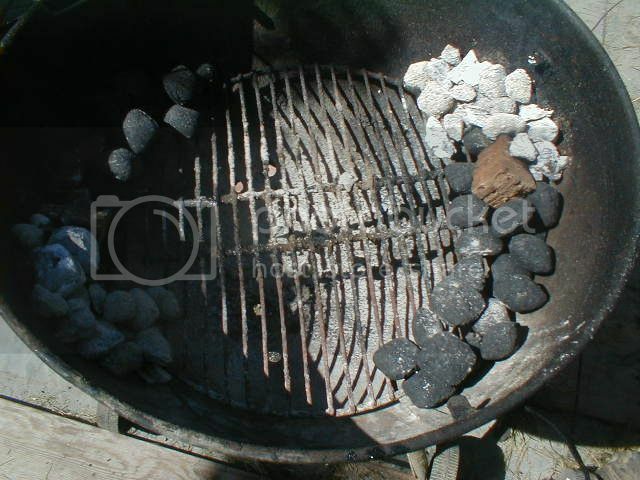 Well if I get a nice layer of coals for the start---how often should I add coal after that? because I think adding one split oak block of wood would be to much smoke. I am just trying to understand this guys. I've got coal that I don't mind to add in to keep a nice fire but I'd rather build it from the start with wood and maintain it with coals is that the better way of explaining? seeing how fast the temp rises, etc. 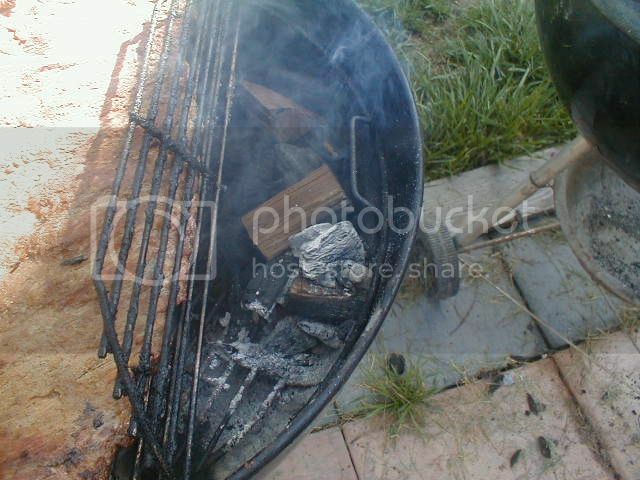 "because I think adding one split oak block of wood would be to much smoke. I am just trying to understand this guys." One split block of oak will not oversmoke a whole load of food, UNLESS all that other wood you had in there is still burning down. If you do this a lot, over a long period of time, you'll end up with a nasty layer of crap all over the inside of your cooker & everything you cook will taste oily &"over-smoked"
One thing I am told is to lay 1-2 chunks of smoke wood (citrus, apple, etc) before I close the lid allow it to catch fire and let the flame be on the log;; Am I correct?? I am cooking another set of Drunken Chickens this weekend for my family again. I'm hoping to have the fire starter box ready for those logs. But guys how often do you add more coal to your fire? I understand people say when your temp starts to drop but tell me honestly how often on average do you add. You are cooking on an offset and that is kinda a hard question to answer. Watch the temps on your thermometers and add a little bit of coals as the temps drop below what you want. When you have a nice, light blue smoke you are probably right on if your temps are correct. When the smoke stops and the temps drop add a bit more coals. Eventually stop adding smoking wood and just replenish the coals. Well I'm going to run a test run I think on Thursday--I know I want to cook this Sunday so we'll see how the end results are. So guys the next question is; how many chunks do you use to smoke with? 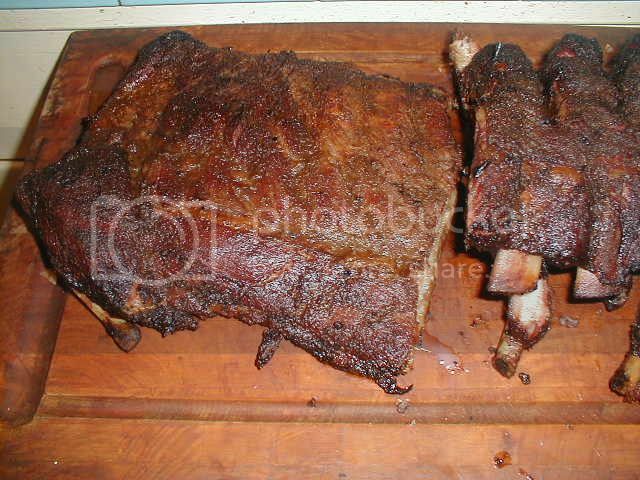 4hr smoke time how many blocks of wood are you using??? Lets also say average size you would buy from home depot size. I use a chunk about every 1/2 hour and usually stop about half way through. You will have to experiment to find what you like. I run a DPP 70 series, and contrary to everything I have ever done, known, or heard of, the DPP pit works best with the intake kept WFO, and the heat is most easily controlled by dampening the exhaust instead. When you have too much fuel, and not enough air to support that much fuel, this is exactly what will happen, it also happens when your fire is too cold. A small fire that generates the most heat is the best IMO. People often ask why they see almost no smoke from my pits, and I explain that it is because my fire is burning correctly. Think of this in automotive terms, fuel rich combustion belches black smoke at you, so you either decrease the fuel, or increase air, since you cannot really increase air on a naturally aspirated pit (engine), you must then decrease fuel to get the proper air/fuel ratio for optimum burn. So. I would make sure you wood is at the proper moisture level, (18%-22%) and that you are not trying to burn too much at once.